Has anyone but bought tickets for the Bristol show? I can see standing or seated tickets but no option for a seating plan. I haven't been to a UK show in a decade, where would standing be? How come nobody bothers updating this thread? Sure by nice to know if any other matches to Ospreay vs Pac had been announced for High Stakes without having to go on Twitter. I.e. I can't be arsed. @KRS how did you find it? Pretty decent show overall for me. I was physically disappointed when I heard Ospreay and Yuu weren't going to be performing, as they were the reasons I bought a ticket, but I think everyone's performances made up for it. The men's tag match, the Great O Kharn's bout and the main event were worth the ticket price. I was upstairs and stayed on the balcony for the whole show and liked the venue. Will probably try another show after High Stakes. I did not, Bristol is a bit far from Sussex. Off to High Stakes today. There's been some card reorganisation, but Pac vs Ospreay is still on, along with the Aussie Open vs Brookes and Gresham rematch. 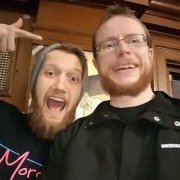 They tweeted that they "think" the next York Hall shows will be Friday May 10, the day before Lucha at the Roundhouse in Camden, and Friday August 30, the day before NJPW at the Copper Box. Can anyone let me know what the shows at the Cockpit are like? I went to the Bristol show and wonder how it would compare to that? Do they use the same talent? I go every month, they are usually a lot of fun. ZSJ is on the first one, and both PAC and ZSJ are on the one on the 31st. Same talent, you'll see Chris Brookes, Aussie Open every month and some shite (Kurtis). I think I'll give them a shot then. Is it easy enough finding a seat or should I get there early? Cheers for that. I've just ordered a ticket for the March 3rd show.